MAJOR changes to timetables across the country brought disruption to Thameslink Southern Great Northern (TSGN) and Arriva Northern passengers from May 20. More than four million services had to be rescheduled, six times the usual workload for planners, as various infrastructure enhancements were due to be completed. However, delays to key projects such as the Edinburgh to Glasgow and Manchester-Bolton-Preston electrification, and non-delivery of new train fleets, has forced a series of late changes to the planned timetables, creating significant staffing and train planning issues. The suspension of rest day working by Arriva Northern also created driver shortages, causing further delays and cancellations, particularly in the north-west of England. double-track tunnels between St Pancras International and Blackfriars (the ‘core’), failed to deliver on its promises, causing widespread disruption across the south-east of England. in December 2019, but the problems took the shine off a much-trumpeted new timetable that should deliver 400 extra trains per day and new journey opportunities across London. 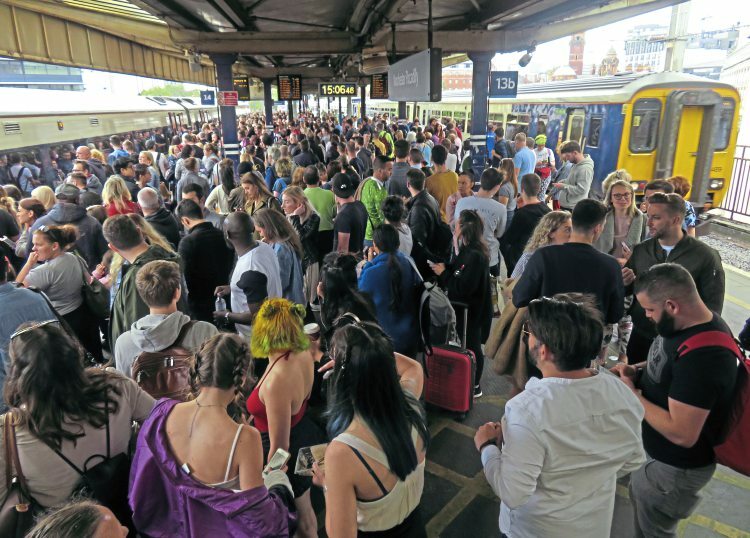 Every TSGN train, and many from other operators across the south-east of England, had to be rescheduled to accommodate the recast Thameslink timetable. Read more in the June issue of The RM – on sale June now!